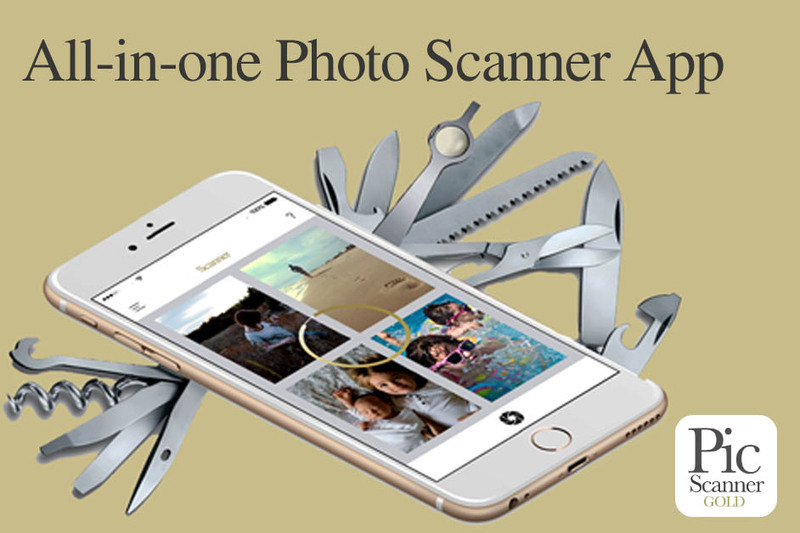 If you want to scan photos, Pic Scanner Gold is a great app for iPhone and iPad users. Note that Pic Scanner IS NOT meant for scanning film negatives or Kodachrome slides. Some film negatives scanning apps do exist, but none we’ve tested works well. The reasons are explained later in this article. If you need to figure out what film negatives or film strips contain, what do you normally do? Most of us would point the negative at a window or a light source. Doesn’t work too well. Here is a better way to do it, and it’s super easy! The film negatives need to be lit from behind. This is what you do when you point them at a window. But this doesn’t light them uniformly. An iPad will do a much better job. If you don’t have an iPad, use your computer screen. Increase screen brightness to maximum (On iPad: Settings > Display & Brightness). Now you need to get a blank screen. On iPad or laptop, open Notes app > New. Place film negatives on the screen. This will light them from behind. You’ll use your iPhone to see the film negatives. On iPhone, go to Settings > General > Accessibility > Display accommodations > Invert colors. This will invert the colors – a bit startling, but don’t worry. This is just to invert the film negatives to positives. On iPhone, launch Camera app. View the film strip lying on the iPad through the iPhone’s camera screen. Tap to focus, and there you are! You will see the positives of your photos. If the photos have a bluish tinge, go to Settings > General > Accessibility > Display Accommodations > set ‘Color Filters’ to ‘on’, and choose Greyscale. The display will now be B&W, but you’ll be able to see the photos a lot better. When done, change the accessibility options back to their original settings. Here’s a YouTube video that demonstrates the whole process. Using an iPhone to view film negatives is fine, but don’t use it to scan them. The resolution won’t be good. Scanning film negatives requires a more powerful illumination source to light the film, and a stand to hold the iPhone camera steady. Even then, scans will not be good. We have tested some slide and film scanner apps, but the results were uniformly disappointing. We would suggest using a film scanner or a flatbed scanner with a slide adapter. Or a slide scanning service. For more details, see this Petapixel article. Chances are you have hundreds of old, printed photos. Maybe thousands. An easy and fast way to scan them is with Pic Scanner Gold. 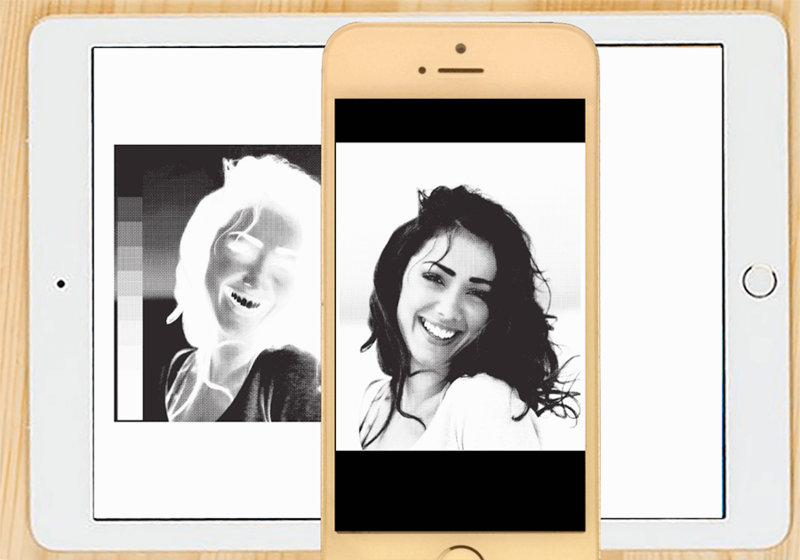 This app turns your iPhone or iPad into a powerful, high resolution photo scanner. Pic Scanner Gold has many other useful features, and it has received praise from Cult of Mac, National Geographic Traveler, the BBC, iPad Insight, Gizmodo and many other respected reviewers. You can find out more at this website. For users with older devices (iPhone 5, iPad 3 etc. 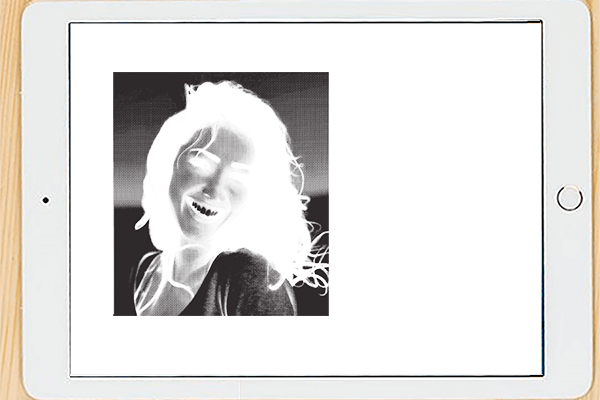 ), a lite version called Pic Scanner is available. You can download Pic Scanner Gold here, and Pic Scanner Classic here.